Well, it was supposed to be on my Christmas list this year...but I ended up just getting it myself after receiving an online coupon from Sephora and finding two unused gift cards hiding in my wallet. So it ended up being free, with free shipping! Can't get better than that. I am so happy with this fragrance. 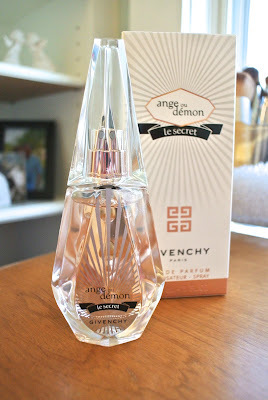 It is unlike anything I have, which is exactly what I was looking for (I was getting tired of my signature scents). "Fresh, luminous, and fruity floral with a "jasmine tea" theme. Notes of Cranberry, Green Tea, White Peony, Sambac Jasmine, Blond Woods, White Musks. I definitely agree with the description of fruity and floral...what I love about it is an almost "grapefruit" scent! It is very fresh and feminine.